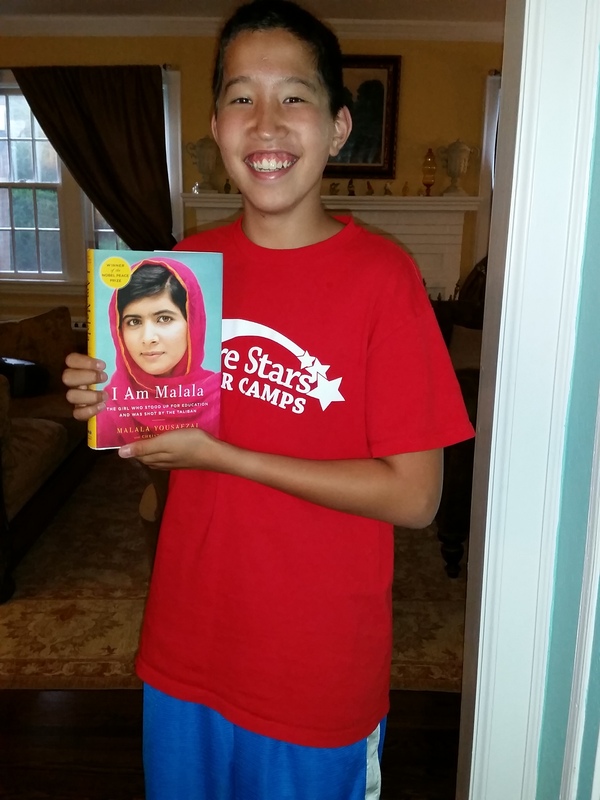 I recently read the book, I am Malala by Malala Yousafzai. She made and continues to make sacrifices for education. She is a role model of mine and I hope to meet her one day. She was shot in the head by the Taliban as she came home from school. Malala made a remarkable recovery. Her positive attitude and her love of life helped her through her trauma. I am in awe of how she handled herself in the face of threats that came even after she was shot. Education is the only way to peace. I stand with Malala! Today is Malala’s 18th birthday. In her birthday message, she asks us to “Invest in education, not weapons.” Malala is one of the greatest role models that anyone can ever have. Please help Malala in her mission to bring education to all. Today she opened a school for Syrian Refugees, girls aged 14-18. What a way to spend your birthday!